Already seen by nearly 800,000 people to date, the production named “Best Show” in the Las Vegas Review-Journal’s annual “Best of Las Vegas” awards will have played 31 smash months and over 1000 performances at the conclusion of its run. Apart from the still-running Broadway production, this marks the longest run of the show in any US city, eclipsing even the record-breaking 27 month Los Angeles engagement, which concluded in 2003. Lion King broke the Mandalay Bay box office record just weeks after it opened and went on to break its own record four more times. The extension allows Disney and Mandalay Bay to meet continued ticket demand for the next 14 months while allowing elements of the physical production to be committed to upcoming new productions of the show. 2011 engagements include stands in Montreal, Toronto and Providence, RI. Disney’s The Lion King at Mandalay Bay invites Las Vegas locals to celebrate Halloween with kings of the jungle with a special 2-for-1 deal. Take advantage of this incredible offer and enjoy the world’s number one musical with the best costumes on The Strip. This exciting offer is available for performances on Saturday, Oct. 30 at 4 p.m. and Sunday, Oct. 31 at 4 p.m. and 8 p.m. and will include 50 percent off orchestra and front mezzanine seats. Guests daring enough to don costumes will receive a free Disney gift, while supplies last. Hurry up to purchase Lion King Mandalay Bay Theatre Tickets for this offer. Disney’s The Lion King visiting Montreal next summer, it will be settling into Salle Wilfrid Pelletier of Place des Arts beginning Tuesday, August 9, with performances playing through Sunday, September 4, 2011. Opening night is set for Thursday, August 11. That’s about three weeks longer than the norm for musicals at Salle Wilfrid Pelletier, which has a whopping 2990 seats to fill. 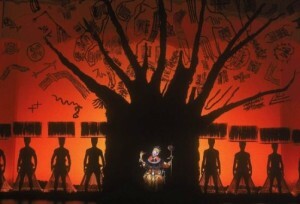 The Lion King has played recent record-breaking Canadian engagements, including a four-week British Columbia premiere in Vancouver in August 2010. The production set a new record for the single highest box office gross in Canadian theatrical history. The final week of the engagement grossed more than $1.9 million Canadian, which is more than any previous Canadian stage production has grossed in a single week. The engagement entertained more than 82,000 patrons and generated over $7.5 million Canadian at the box office during the entire run. The on-sale date for tickets will be announced at a later date. Buy Lion King Montreal, QC Canada Online when they are available in few months. The cast and crew behind The Lion King are celebrating this month after notching up 11 years in the London West End. It remains one of the most popular London musicals and is now the ninth longest-running in West End history, having been seen by an amazing 8.5 million people, Broadway World reports. There have now been more than 4,600 performances at the Lyceum Theatre. The Lion King tells the story of Simba, a cub who is heir to Pride Rock. However, his world is turned upside down when his father King Mufasa is killed and his evil uncle Scar leads him to believe he was responsible. Simba runs away and grows up, but later finds that Pride Rock has been ravaged by Scar and his hyenas – will he go back and seek his rightful place as king? Anyone hoping to go and see The Lion King this half-term may be pleased to know that an extra matinee has been added for Thursday 28th October at 14:30 BST. 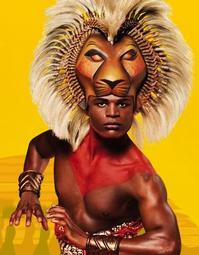 Buy Lion King Lyceum Theatre Tickets Online. After five years, the Lion King returns to Chicago for only 7 weeks at the Cadillac Palace Theater. One of the biggest musical hits of the last 15 years, the Lion King has now played across the globe, and has only gotten better. Julie Taymor directs a powerful visual story of the African Pridelands and the Circle of Life. The story of the little Lion King Simba, and the journey his life takes after the death of his father King Mufasa and the actions of his treacherous Uncle Scar. The performances are spectacular, with standouts Rafiki played by Brenda Mhlongo, and Nala played by Syndee Winters. Winters’ vocal range and pitch resonate perfectly in the Cadillac Palace. Another standout that seems to have grown in the last five years are the vocal and dance ensembles. There is much more depth in all of these performances than the last run here in Chicago. As always the costuming, puppets, masks, makeup, and set are what is the most magical about this show. Such a genius adaptaion of an animal’s story, through human actors without obvious costuming, or tricks. The humanness remains enough to connect with what you’re seeing and feeling on stage. Not to mention the brilliant music of Elton John and Tim Rice is also made magical in this production. Entertaining for people of all ages it’s great that this production has come back to Chicago. Definitely a must see before it leaves on November 27th. From here Lion King moves to Chrysler Hall, Norfolk VA.
Purchase Lion King Cadillac Palace Theatre Tickets online through guaranteed safe and secure server. Come and experience the Circle of Life! Disney’s “The Lion King” is back in Chicago for its third extended visit, now more than a decade removed from its first circle of joyous theatrical life. Tours of this complexity, magnitude and guaranteed appeal are bordering on extinction in this recessionary era. But there has been no drop down the theatrical food chain here. Although the great Tony Freeman must have worn out several birdcages as Zazu by now, Disney has managed to cast new young performers, like Adam Jacobs’ Simba, who avoid cynicism and make the ascension of Pride Rock still look like the realization of some great personal ambition. It was all there in the steeling-himself moment prior to the assumption of rock and throne. Such details, such maintenance of quality, are why “The Lion King” roars on. Behold the abiding lessons of “The Lion King.” Maybe Taymor needs to remind herself. There is nothing more powerful than a story of loss of a parental figure and the subsequent assumption of adulthood with a symbolic nod from the one deceased. We never tire of that, because we never tire of praying, hoping, that the people we’ve all loved and lost are still, in some form, there to take care of us. We fear they are not. When we see a show that makes us feel like they are, we’re washed with comfort and hope. It’s as simple as that. Dazzle ‘em at the start—that would be “The Circle of Life”—and they’ll immediately relax because they’ve feel like they got their money’s worth. And with that worry gone, then you can tell ‘em a tale. It’s nice to have a couple of songs like “Can You Feel the Love Tonight?,” sure, but, really, it’s all about the storytelling. The songs, as Aristotle noted, are pleasurable accompaniments. No more, no less. Mainstream audiences have much greater visual sophistication than many theater people realize: You see all kinds of different versions of the same character here (Simba is played by two different actors and half-dozen different forms of puppet) and yet people fully accept him as one true being. The truth is in the little details, and in the consistent unity of the story. There’s one last thing. In “The Lion King,” the actor playing, say, Scar (in this case, the juicily menacing J. Anthony Crane) has both a puppet head and his own head to work with. It’s on record as being fiendishly difficult to perform, but in performance it’s like watching two shows on two different levels (no other animation-to-musical piece really has this). At “Lion King,” your eye pops and bounces back and forth from the performer to the animal and then back again, giving a genuinely richer aesthetic experience. Taymor and Curry (the puppet designer) really staged two shows at once. It keeps the audience just slightly off-balance and wholly entranced. If I were a Disney exec with a catalog of animation, I’d try that one again. Lions not only rule the jungle, they also dominate Broadway and the theater landscape while making a killing at the box office. After a five year wait, Disney Theatrical Productions and Broadway In Chicago has finally lured Disney’s “The Lion King” back to Chicago. The magical musical menagerie is playing Cadillac Palace Theatre now through Nov. 27. The show’s 39-week premiere engagement in 2003 and 13-week return engagement in 2005 both played sold-out runs on this same stage. “I’ll always remember the first time ‘Lion King’ played here and we set up a 24-hour ticket sale to keep up with the demand,” said Broadway in Chicago Vice President Eileen LaCario. Director Julie Taymor’s creative vision blends elements of African art and Broadway artisanship to depict anthropomorphic animal characters. For this run, the sardonic and deviously cunning “Scar” is played by J. Anthony Crane and Dionne Randolph is “Mufasa,” the great warrior and ruler of the Pridelands. Show Schedule: Now through Nov. 27 with performances Wednesday and Thursday evenings at 7:30 p.m., Friday and Saturday evenings at 8 p.m., Sunday evening at 6:30 p.m., Wednesday and Saturday matinees at 2 p.m., and Sunday matinees at 1 p.m. No performance on Nov. 25 for Thanksgiving. Buy Lion King Cadillac Palace Theatre Tickets NOW!